The undefeated Maroons (16–0, 5–0) extended their NCAA-best regular season winning streak to 34 games this weekend with wins over NYU (9–7, 1–4) and Brandeis (7–9, 0–5). Chicago is now one of six remaining unbeaten NCAA teams. The undefeated Maroons (16–0, 5–0) extended their NCAA-best regular season winning streak to 34 games this weekend with wins over NYU (9–7, 1–4) and Brandeis (7–9, 0–5). Chicago is now one of six remaining unbeaten NCAA teams, along with Amherst, George Fox, Calvin, Rochester, and Mary Washington. Chicago played NYU on Friday in a game featuring the highly anticipated meeting between third-year guard Maggie Ely and her old team. NYU jumped out to a 7–5 lead early, but that would be the last lead the Violets would see all night. 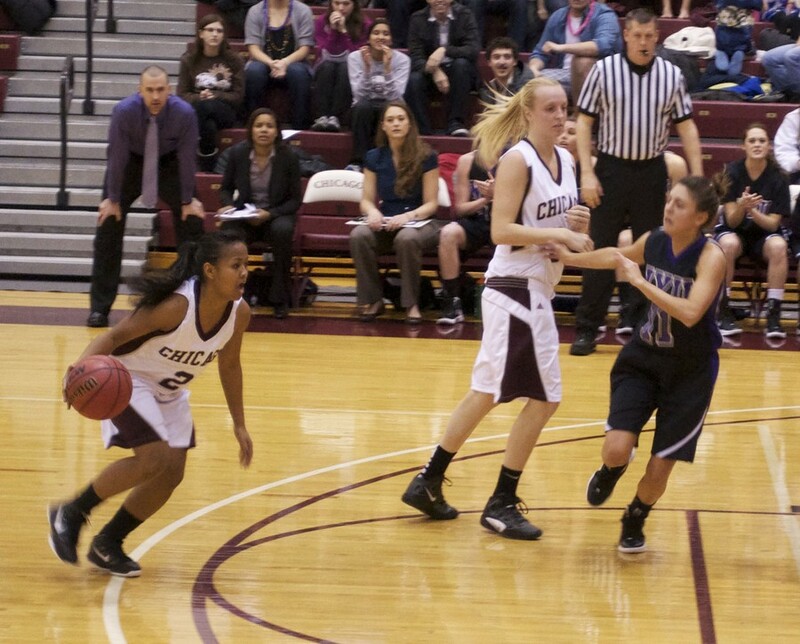 An 8–2 run, sparked by newcomers Julie Muguira and Hannah Ballard put the game out of reach. Chicago held a 35–27 lead at the half. Recently, the Maroons have been unbeatable after fast starts; Chicago has won 45 consecutive games when leading at the half. Chicago extended its lead in the second half and led by more than 20 points with 13 minutes left in the game. The Maroons won comfortably with a score of 77–55. Ely played well against her former team, earning seven trips to the free-throw line. She finished with seven points in 16 minutes, along with four assists. Pre-season All-American Taylor Simpson had another impressive night, pacing the Maroons with 18 points and eight rebounds, five of which came on the offensive end. The game against Brandeis on Sunday had a similar flow, with the Judges taking an early 8–5 lead behind the strong shooting and creative play of guards Morgan Kendrew and Diana Cincotta. Chicago would quickly regain control with their typically suffocating defensive effort and some long-range sniping by fourth-year guard Joanna Torres, who hit three of her five three-point attempts on the night. Torres is far and away the best three-point shooter in the UAA at 54 percent, leading the rest of the league by nearly ten percentage points. As a team, Chicago struggled from behind the arc, only knocking down seven of their 23 attempts. Even with their difficulty scoring, Chicago was able to lock down the Brandeis offense, and quickly ran away with the game in the second half, winning 76–48. Every player on the Chicago bench saw the floor. Fourth-year Morgan Herrick led the Maroons in scoring with 16 points, despite being saddled with foul trouble throughout the game. “Fortunately enough we were up by a significant amount so it wasn’t too detrimental to the game today, but our young players stepped up and did a really good job,” Morgan Herrick said. Chicago plays two of the best teams in the UAA next weekend as it faces Emory and Rochester. Rochester is undefeated and is one of the best teams in the country, while Emory features the most dynamic scoring threat in the conference in guard Hannah Lilly, who leads the UAA in scoring, averaging over 19 points per game.